This extruder is suitable for all Creality 3D printers including the popular Ender 3 4 5 & pro cr 10 & s s4 s5 cr 10 mini. Ender 4, Ender 2/3, CR-10s, CR-10, CR-10 Mini, CR-10-S4, CR-10-S5, CR-8, CR-7. Upgraded Aluminum Extruder Drive Feed kit for Ender 3, CR 10/10S, which can replace the acrylic parts. Material: Aluminum. Upgraded Aluminum MK8 Extruder Drive Feed kit for Ender 3, which can replace the acrylic parts. It is more stable and durable for all 1.75mm filament. When this pin hits the bed it raises back up and triggers a hall effect sensor. 3D Touch Probe. Installation is relatively easy. Simply print a mount for the sensor that fits your printer, wire the sensor into your motherboard and flash new firmware with the sensor enabled. Suitable for all Creality 3D printers including the popular Ender 3 4 5 & pro cr 10 & s s4 s5 cr 10 mini. Brass extruder drive gear. 1 x Extruder kit. Special Bowden tube fitting. MK8 nozzle is compatible with 1.75mm ABS/PLA material. It can better support the PLA material. The nozzle of MK8 is compatible with those 3D printer on which MK7 can be used. 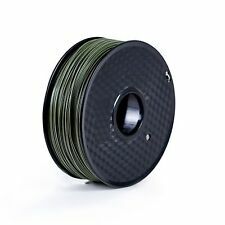 3D PRINTING SUPPLIES UK. Shaft/Bore 5mm. Material = Stainless Steel. Help & Support. Suitable for Creality Ender 2, Ender 3, Ender 3 Pro, Creality CR-10, CR-10S, CR-10S Pro, CR-X, CR-10 Mini, CR-20. On the Creality Ender 3 this is a major frustration caused by low quality bed springs, these improved longer stiffer springs will help. Ptfe Tube Goes Inside The Nozzle. CTC 3D Printer Nozzles Complete With Ptfe Tube. Help & Support. Shenzhen Getech Co. Geeetech has been one of the most prominent rising star in the area of 3D printing in Shenzhen ,China, even the world, since founded in 2011. Geeetech advocates making 3D printing easy and economical and we are hoping to help more enthusiasts get easy access to the wonderful world of 3D printing. Ender 4, Ender 2/3, CR-10s, CR-10, CR-10 Mini, CR-10-S4, CR-10-S5, CR-8, CR-7. These dampers reduce stepper motor noise and vibration. Excellent anti-vibration dampers for quiet stepper motors. 1 Damper used per Stepper or Electric motor. Features： Can be used repeately and more convenient to remove the model from it,for its separable structure. Can be installed on a hot bed and a glass platform. Can be printed on cold bed.Can print directly on it,No glue,No something else. Print without warped edge. 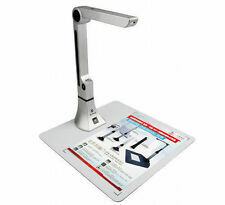 The A plate is flexible and magnetic, it is easy to move away from build platform and take away prints. The surface of A plate is able to resist high temperature up to 70 ℃ in short time. The A B plates are flatness. You can print PLA on it perfectly. Pay Attation : * Please level the build plate well before printing. * Please do not let heated nozzle touch the A plate directly !. This extruder is sold without motor. - Item Type: Extruder. 1 PC Extruder. Otherwise deal is final. All products are quality checked. We will be happy to resolve any issues you may have in a cordial and friendly manner. MK8 Extruder Nozzles For 3D Printers (D103). Help & Support Excellent Quality Nozzles. Creality Ender 3 Pro Motherboard V1.1.4 Standard Version Non-Silent-Customized It is only upgraded to CH340G serial port chip, No firmware upgrade,which is only used when online printing. It can automatically recognize and install the driver. Note:This is only the Standard Version,Non-Silent-Customized,No firmware upgrade if you need the Customized Silent Version,please go to our Official website,the price is $49.99. Suitable for: Creality Ender 3, Ender 3 Pro, Ender 5, Creality CR-10, CR-10S, CR-10S Pro, CR-10 Mini. This board allows you to access the spare pins on the LCD cable in order to connect a BLTouch without modifying the LCD cable permanently. Creality Ender 5 Pro Performance Silence & TL-Smoother Upgrade Kit. A premium upgrade kit for your Creality Ender 5 printer, this quickly and easily installed collection of tried and tested upgrades improve the performance and reliability of your Ender 3D printer. Specification of brass nozzle: Type: 0.4 mm extruder brass nozzle printhead Color: golden Material: brass Size: 5 × 13 mm Input diameter: 1.75 mm Starting diameter: 0.4 mm Compatible: Compatible with all 1.75mm PLA ABS printers, works with Anet A8 extrusion tube specification: Type: nozzle throat Compatibility: 3D printer External thread: M6 Nozzle neck outer diameter: 7mm Nozzle throat diameter: 4mm Inner diameter of Teflon tube: 2 mm Length: 30mm Filament diameter: 1.75 mm Material: stainless steel Specification of the aluminum heating block: Material: aluminum Dimensions: 20 × 20 × 10 mm (L × W × H) Net weight: 6g / piece Inner hole for fixing screw: M6 and M3 (heat pipe and thermocouple). 1 x Ender 3 / CR-10 etc Pin 27 Adaptor Board. A: JST Connector used as original on the Creality main board. A: The board is made as physically small as possible to lessen stress put on main pcb connector. 1 x MK2B Heatbed. Suitable for Reprap machine heated circuit boards. Power Input: 12V / 24V. Laminate FR4 1.6±0.15mm. 24V connection: A cable connected 2, another line connected 3 (1 do not connected). Original Creality Accessories 100% official Creality product to fit Creality 3D Printer perfectly. Glass Bed Tempered Glass provides ultra flat and smooth surface for a flawless printing. For Creality Ender 3 / Ender 3 Pro Suitable for 3D printer with 235mm x 235mm printing surface. Wire harness extension for extruder. May work on more models of machines with an X Axis Carriage similar to the Ender 3 and CR-10 machines. 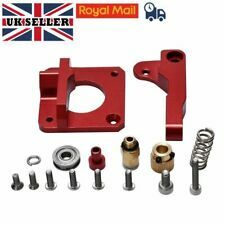 -Upgrade CNC Machined 6061 Aluminium Direct Drive Carriage (MADE IN USA). 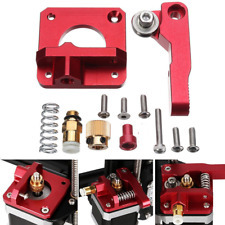 This extruder is suitable for all Creality 3D printers including the popular Ender 3 4 5 & pro cr 10 & s s4 s5 cr 10 mini. Brass extruder drive gear. 1 X HOT SOCK. TC4 Titanium alloy heat break, ultra-low thermal conductivity, make sure the printer stable operation.Durable in use. Heat Sink Material: made from aluminum. Fit for CR-10 series 3D printer. Heatbreak Material: TC4 Titanium Alloy. Suitable for Creality Ender 2, Ender 3, Ender 5, Creality CR-10, CR-10S, CR-10 Mini, CR-20. Are you tired of your heated bed loosing it's level after a print, always having to re-level the heated bed?. 1x J-head Hotend with a cooling fan (0.4mm brass nozzle). 1x PTFE tube (100cm). Tested with PLA, ABS, polycarbonate, nylon and PVA. Power: 40w. We will be happy to resolve any issues you may have in a cordial and friendly manner. Excellent adhesion, ultrabase covered by microporous coating, shows strong adhesion in printing. Fit for Ender 3 3D printer. High temperature higher sticky, the models will stick on bed firmly when temperature is high. Plate is made of tempered aluminum alloy, brushed and anodized for perfect flatness and pleasing surface finish. Made for Anet A8 3D Printers, for Maker Select carriage plate. 1 Y Carriage Anodized Aluminum Plate. Original Creality Accessories 100% official Creality product to fit Creality 3D Printer perfectly. Magnetic Mat Magnetic mat is great with its flexibility and easiness to remove printed objects from the bed. Item contains 2 pieces of magnetic mat, with one removable and one sticking on bed. 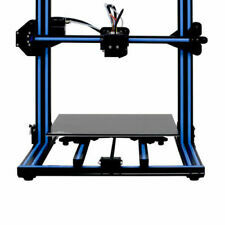 For Creality Ender 3 / Ender 3 Pro Suitable for 3D printer with 235mm x 235mm printing surface. Printers supported: Anet A8, Tronxy, Reprap, Prusa i3 and others. These can be used to secure the glass to 3D Printer Hot Bed. Fit for Ender 3 3D printer. High temperature higher sticky, the models will stick on bed firmly when temperature is high. 1 Glass Plate. Material: Special Glass microporous coatings. Easy to clean by alcohol/water. You will receive a set of 4 upgraded stiff flat ended bed springs suitable for Creality 3D printers. Suitable for Creality Ender 3, Ender 3 Pro, Creality CR-10, CR-10S, CR-10 Mini, CR-20. Are you tired of your heated bed loosing it's level after a print, always having to re-level the heated bed?. Excellent anti-vibration dampers for Creality series printers. These dampers reduce stepper motor noise and vibration. Excellent anti-vibration dampers for quiet stepper motors. 1 Damper used per Stepper or Electric motor. Suitable For Ender 2, Ender 3, Ender 4, Ender 5. High Quality PTFE With Additives For Low Friction & Heat Resistance. Reduced Friction Over Standard PTFE Tubing. Key Features. Creality 3D Removable Heat Bed Build Plate 235mm X 235mm for Ender-3 CR-20 3D Printer Easy to take off models by hand or with a little help from the scrapper for very large models. Temperature setting: PLA:50-70ºC. Creality Ender 3, Ender 3 Pro, Ender 2, Ender 4, Ender 5 Upgraded Lead Screw Coupler. A premium upgrade for your Creality Ender printer, this is quickly and easily installed. Suitable for Creality Ender 3, Ender 3 Pro, Ender 2, Ender 4, Ender 5. An addon module for 3D printer stepper motor drivers. Mainly for the parallel structure of 3D printer produces vibration lines. Scope: 3D printer. 4x TL-Smoother Module. Type: Eliminate the filter. Provides flyback diodes (freewheeling diodes) for the motor outputs. 1 x PTFE Tube Cutter.